In a tight labor market where job openings outnumber unemployed people, workers have more opportunities to change jobs, leading to increased turnover. Today, Express Employment Professionals is releasing an analysis of job tenure data, which reveals that one-third of job seekers have been in their current jobs for less than three years. Express fielded two surveys. 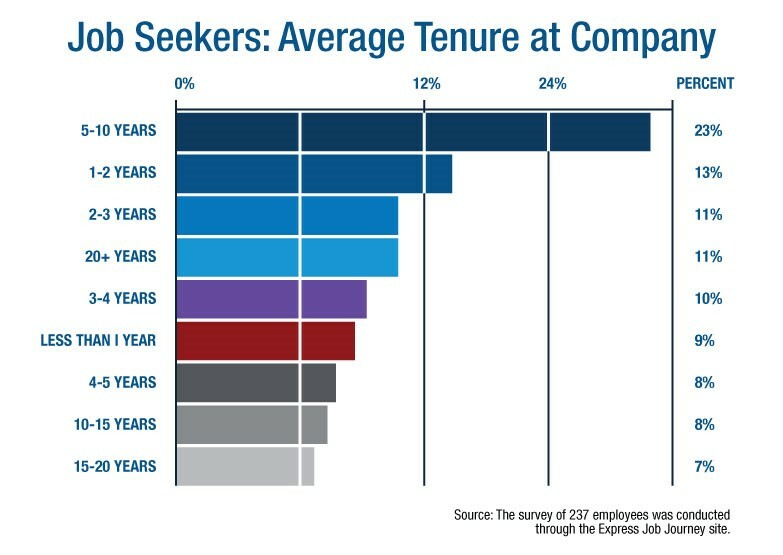 One asked business leaders about the average tenure at their companies. A second asked job seekers about their tenures at their current employers. 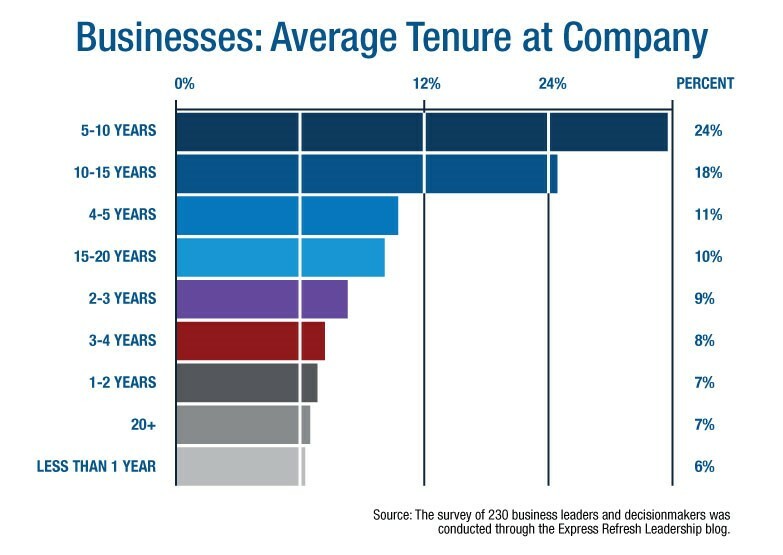 24% of business leaders said the average tenure at their companies was 5-10 years, while 18% said 10-15 years and 11% said 4-5 years. 24% of job seekers said they have been with their current companies for 5-10 years. 1% of job seekers said they have been with their current companies for 1-2 years, 11% said 2-3 years, and 9% said less than one year. 11% of job seekers have been at their companies for more than 20 years. Express franchise owners report an increase in turnover as relatively recent hires head to better opportunities at other companies. “I see people leaving companies more quickly because they know they can walk next door and get a job,” said Daniel Morgan, an Express franchise owner in Birmingham, Alabama. Crystal Lake, Illinois, franchise owner Terri Greeno emphasizes that while this is common, it is not the case at every company. Morgan emphasizes that it has everything to do with management. Reid Bates, an Express franchise owner in Olympia, Centralia and Aberdeen, Washington, analyzed local hiring data and saw turnover had increased markedly from 2017. “I think the situation will continue with a tight labor market and the prevalence of better opportunities. Job seekers know their worth and see the potential rewards of changing jobs,” Bates added. Janis Petrini, an Express franchise owner in Grand Rapids, Michigan, says the current labor market is dividing employees into two groups at companies. “Many companies have their group of long-standing employees who have been there for many years, and then there is a group with less than several years of tenure who continue to turn over as people easily move from one job to the next,” she said. The survey of 237 employees was conducted through the Express Job Journey site, a blog for job seekers or those new to the workforce. The survey of 230 business leaders and decision makers was conducted through the Express Refresh Leadership blog.